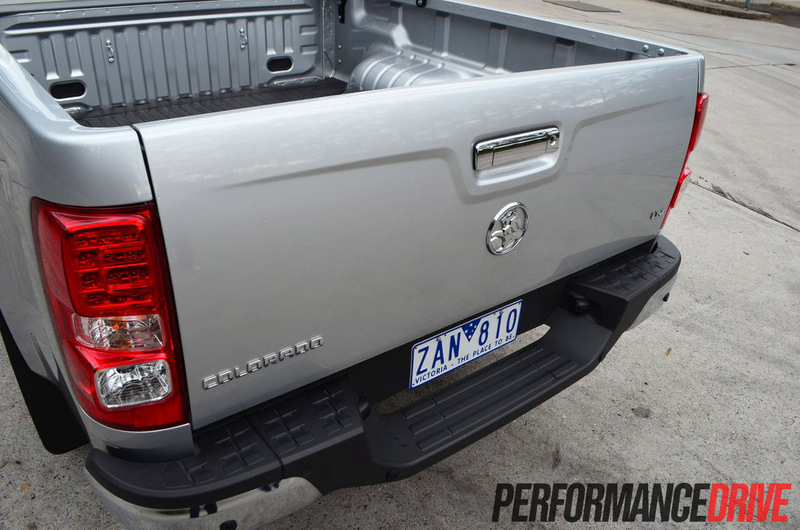 Few cars in the light commercial segment look as tough as the 2012 Holden Colorado LTZ. 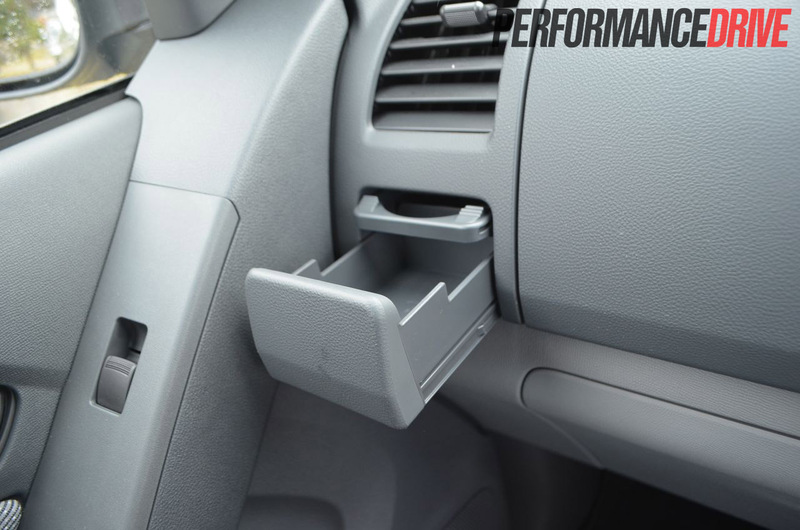 This latest model is a complete rework from the ground up; the result of a two-billion-dollar investment by General Motors. Can it move the HiLux from its perch as the best-selling 4×4 ute? 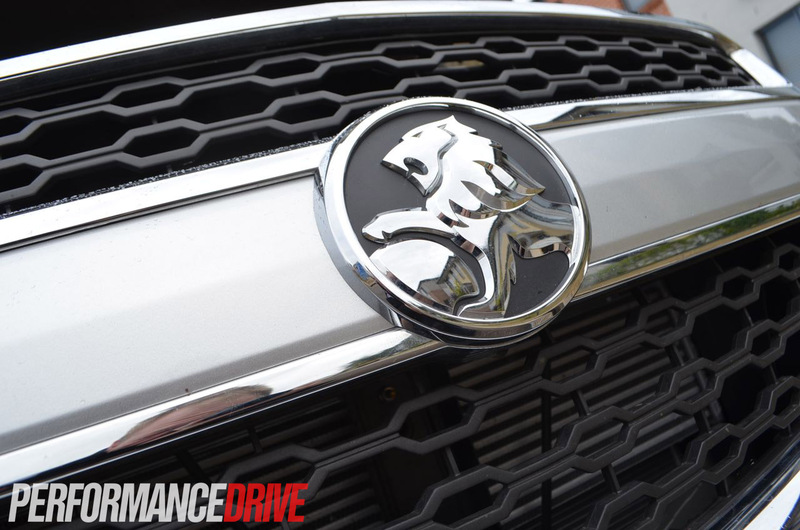 Too striking to use as a workhorse? 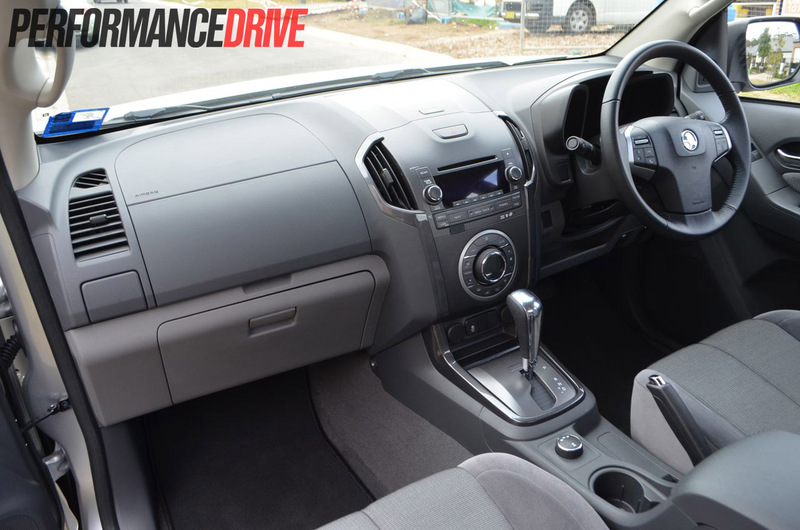 Sitting in a segment that is dominated by the Toyota HiLux, and Nissan Navara to a slightly lesser extent, the new Colorado has its work cut out to make a substantial impact. 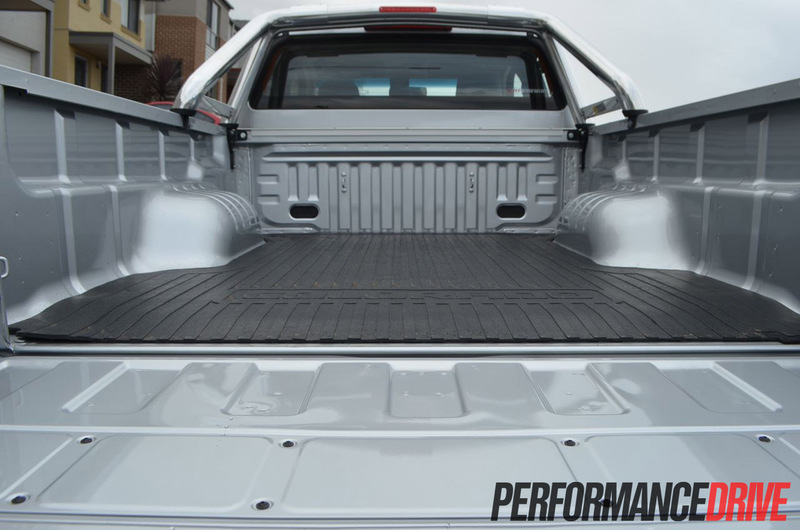 General Motors spent two billion dollars on design and development in the hope the all-new ute will be a standout product. 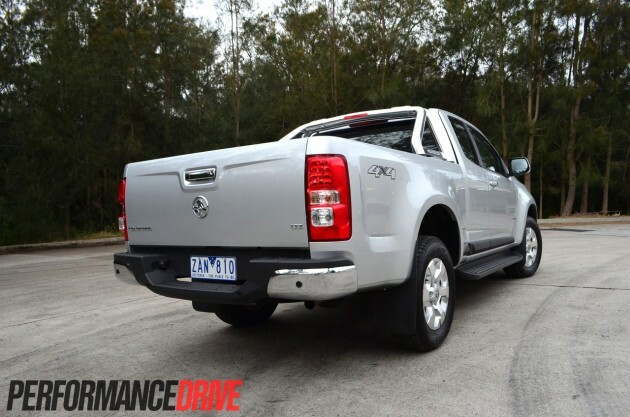 With a 3.5-tonne towing capacity and a one-tonne payload, it certainly looks good on paper. 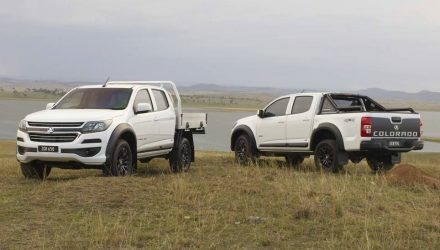 The new Colorado is a twin-under-the-skin to the new Isuzu D-Max, sharing the same chassis, exterior dimensions, and suspension layout (engine and gearbox are not shared). 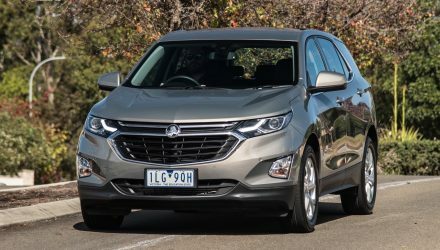 Gone from the Colorado lineup is a petrol variant, now only featuring a duo of new-generation turbo-diesel engines ranging from 2.5-litres to 2.8-litres in capacity. Our LTZ test car is fitted as standard with the 2.8-litre 132kW/470Nm unit. Prices for the Colorado start at $26,990 for the base model rear-drive single cab DX, through to $51,990 for the 4×4 dual cab LTZ. 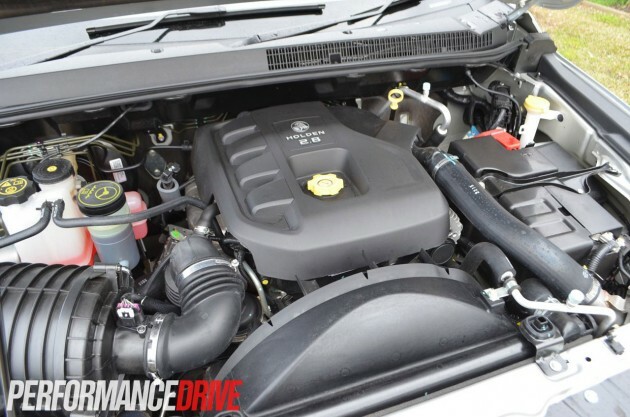 The LTZ crew cab is priced from $47,490 with a five-speed manual, while the six-speed automatic transmission version starts at $49,490 (as tested). 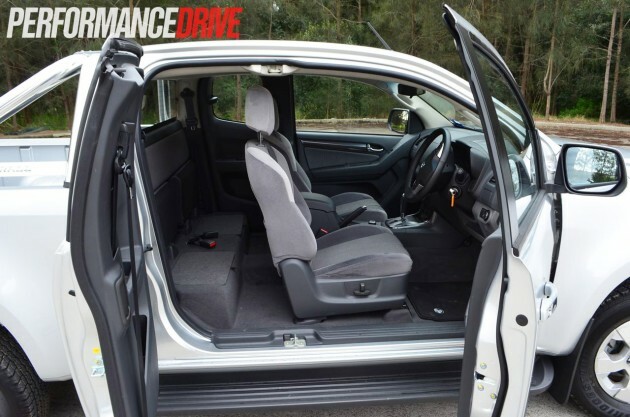 Opting for the manual will save you $2000, but it is also restricted to 440Nm. 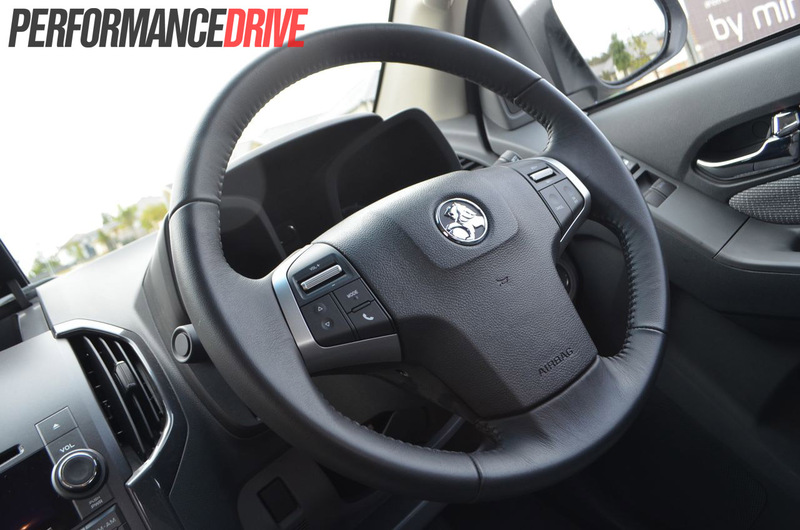 The first thing you’ll notice when you jump in the Colorado is the huge circle dial in the middle of the dash that looks like it was stolen from a spaceship. It looks a tad out of place in our opinion. The bright blue display colours and the overall arrangement does take some getting used to. 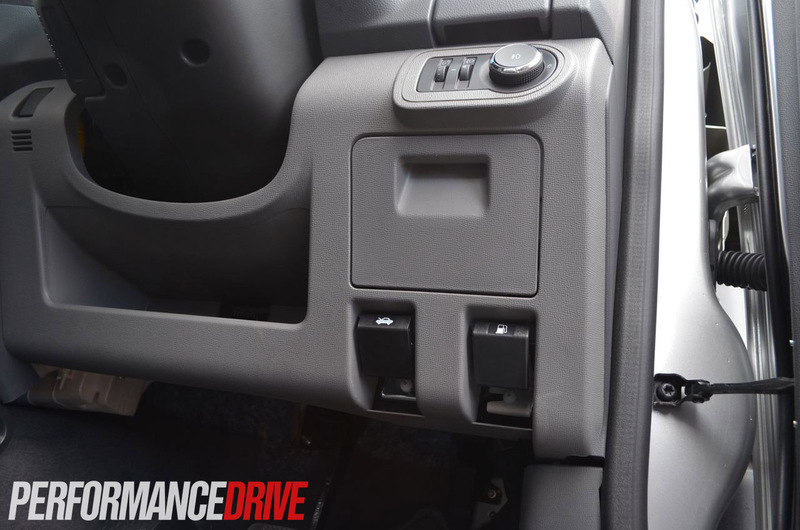 The overall interior design is a combination of relaxed and somewhat appealing, yet robust enough to handle screwdrivers, levels, drills, and food crumbs that’ll be spilled everywhere when you’re travelling between job sites. 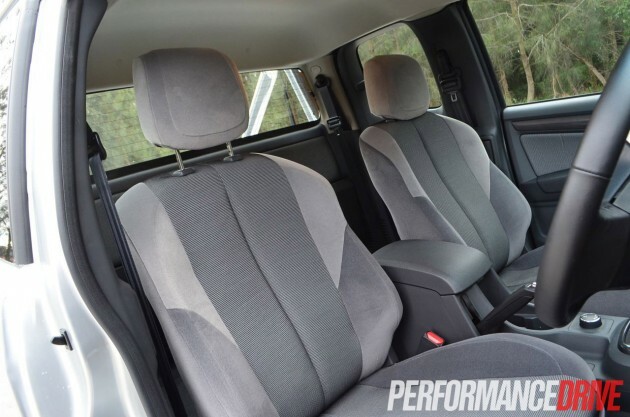 The front seats don’t offer much lateral support, even by workhorse standards, but, again, the seat fabric feels as if it can handle some wear and tear. 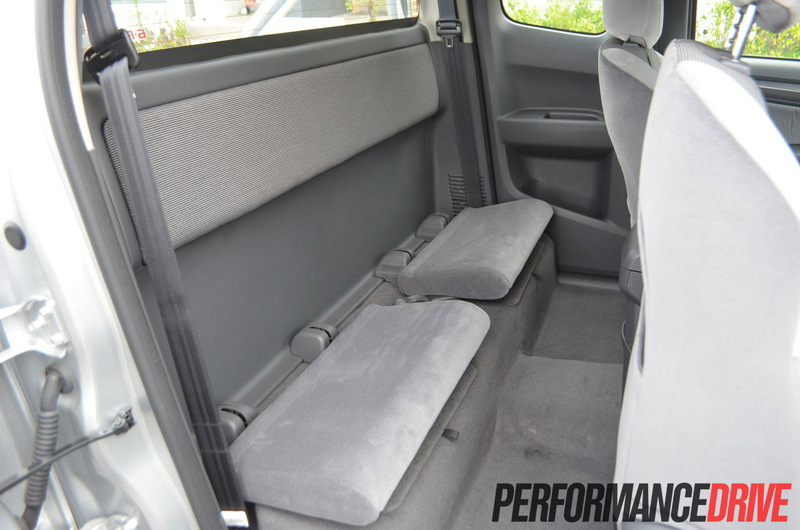 The rear bench seat in the crew cab should be left for last minute lifts or for use in desperation as there’s not much room back there. However, the space is a great spot to put your gym bag, work boots, tools, or pet Kelpie. 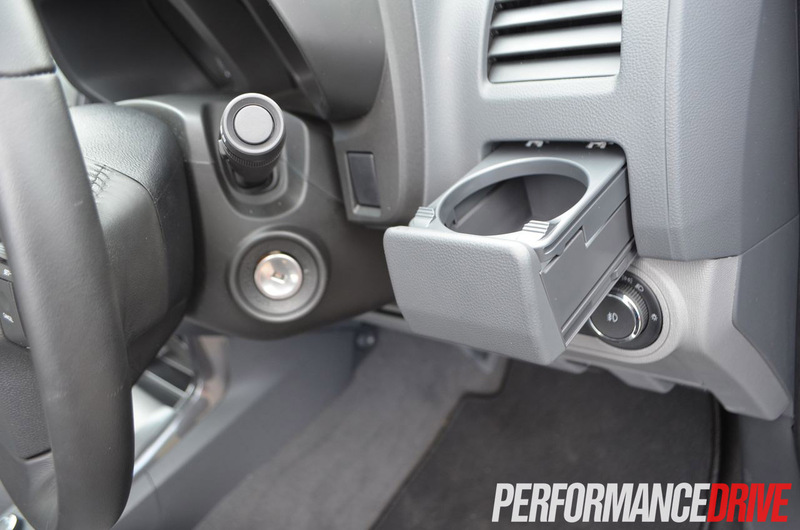 Mod cons such as climate control, power windows, and power mirrors help make life easy, but the lack of standard (or even optional) Bluetooth audio streaming is unforgivable, especially when you consider the $49,490 price tag. 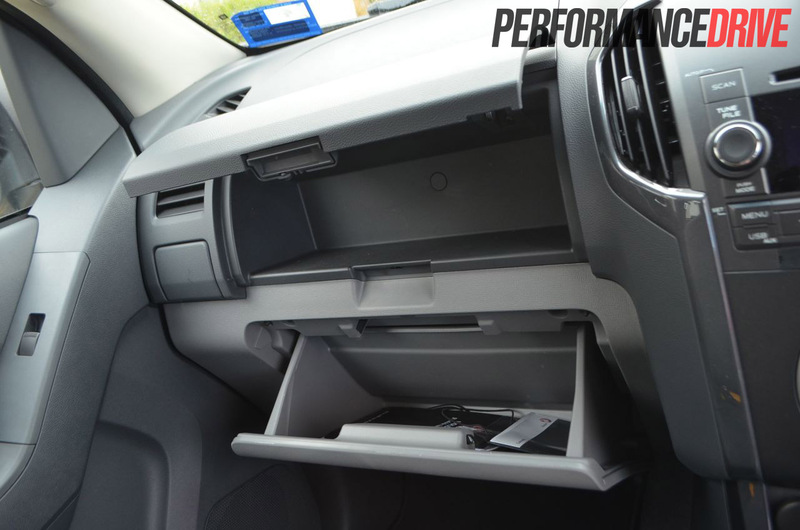 The double glovebox and vast amount of storage space will come in handy for invoice books and whatnot, as will the fancy flip-out cup holders for hot cups of coffee in the morning. 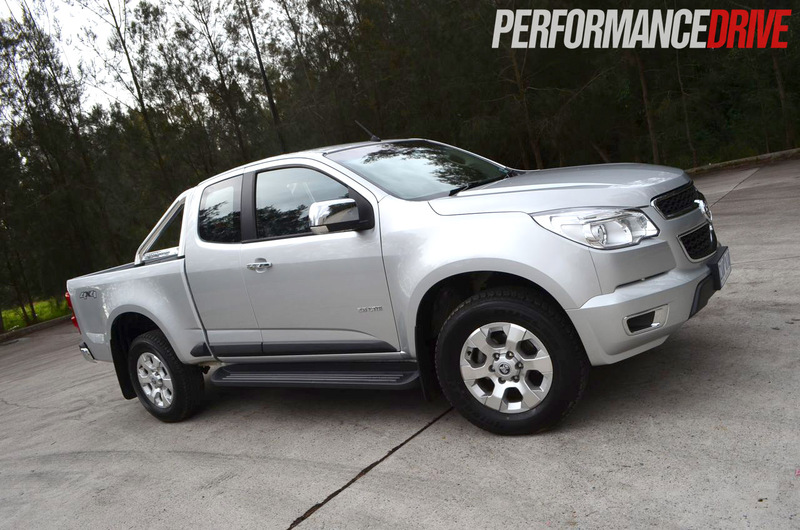 The all-new Colorado was engineered and designed by General Motor’s Brazilian operations, along with a significant amount of input from the company’s Australian arm, Holden. It’s built in Thailand and shipped all around the world, just like many other 4×4 off-road vehicles in its segment. 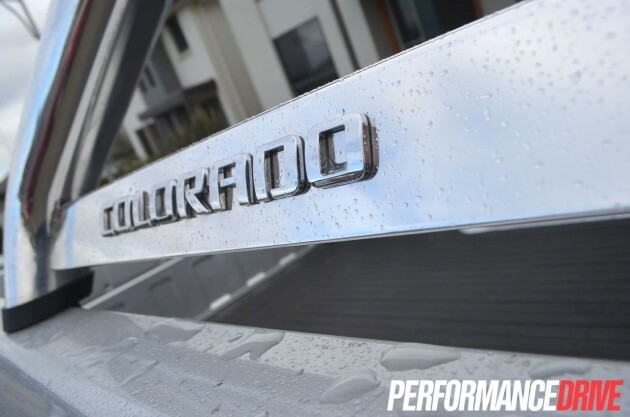 Styling of the new Colorado is most definitely one of its greatest assets. 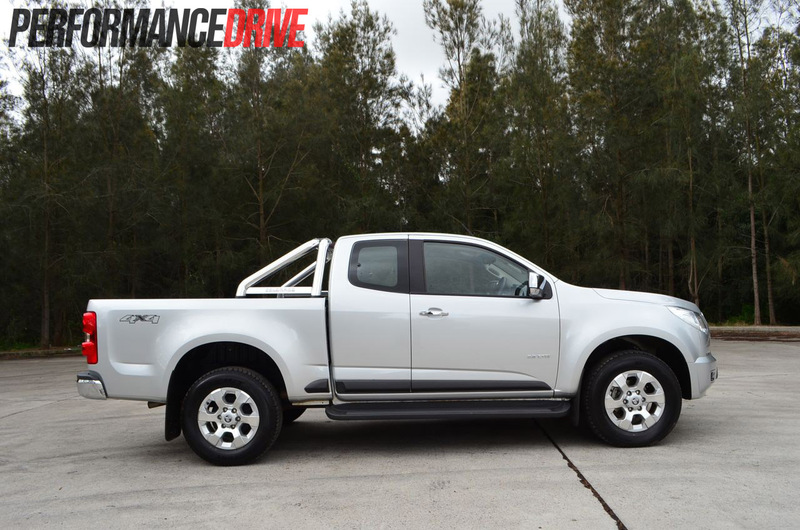 While the rear of it is similar to most 4×4 trucks on the market, the front twin-grille design and chrome sports roll bar is very eye-catching, giving the ute an overall masculine look. 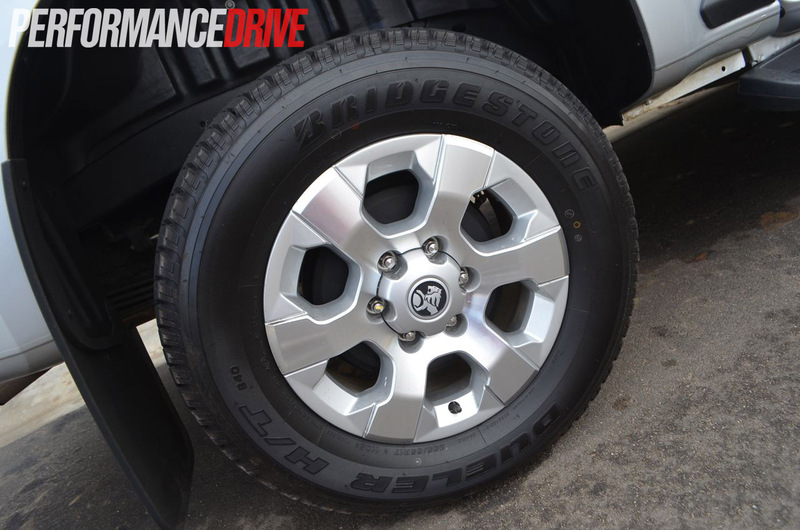 We’re particularly fond of the chunky 17- by 7-inch six-spoke alloy wheels, too, sporting generous 255-wide rubber at all corners. 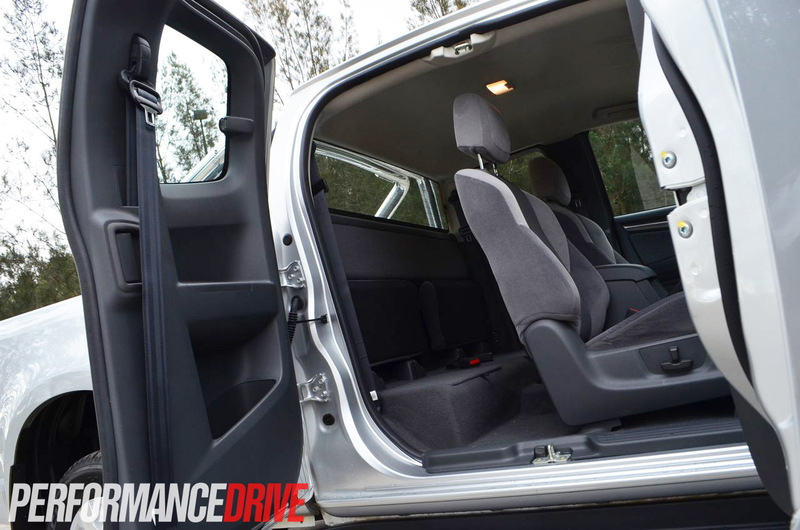 The Colorado has received a full five-star ANCAP safety rating, featuring (standard on all Colorado variants) ABS with EBD, ESC, front driver and passenger airbags, and full length curtain airbags. 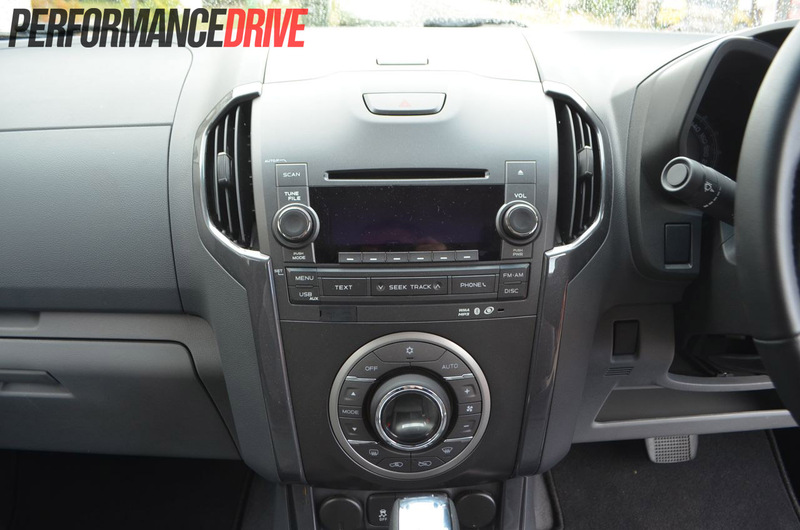 Equipped with a 132kW/470Nm 2.8-litre turbo diesel engine, there’s little fuss in getting the Colorado to move. Loads of grunt is available (470Nm) from 2000rpm, making light work of carting a load or darting off from the lights. 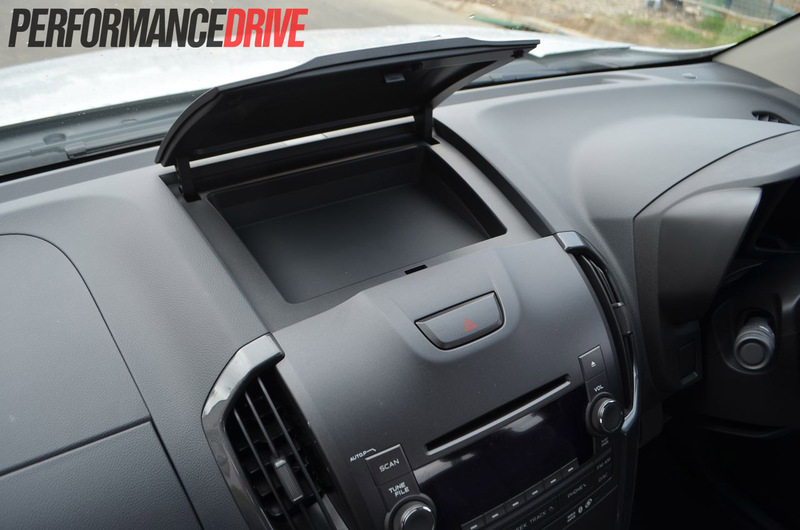 The engine does everything it can noise-wise to remind you its diesel-powered, and the wind noise as you get up to speed can leave you thinking you’ve left a window partially down. This is probably partly due to the sheer size of this thing as it cuts through the air. The Colorado suffers from quite a lot of body roll, but it doesn’t detract too much from the driving experience when pushed. 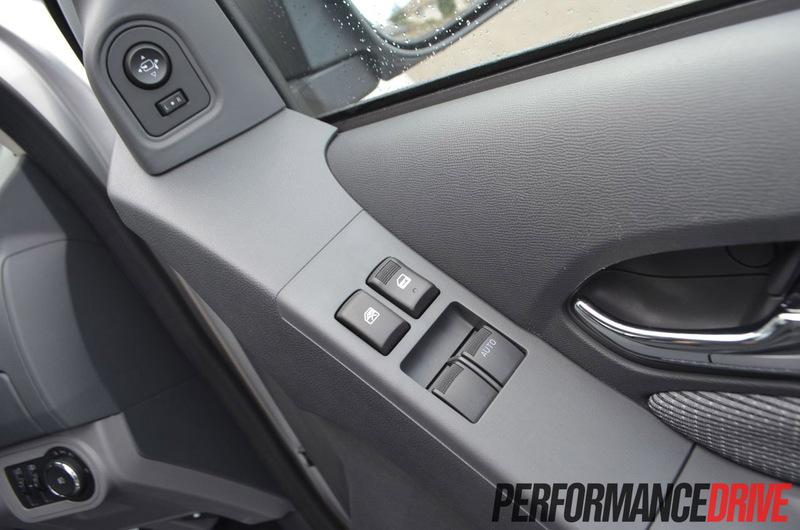 The ESC does a great job of letting you have some fun, without being too much of an intrusion. Hit a series of bumps when the tray is empty and you tend to bounce off them like a tennis ball. 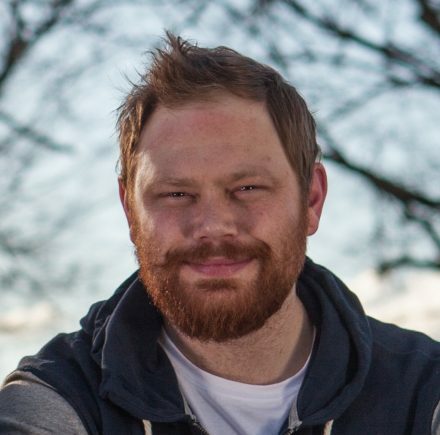 To see if we could counteract this, we put a small load in the back (a dirt bike, a 20-litre fuel can and a bag of riding gear) and as a result the ride felt much more planted and precise during corners and over bumps. 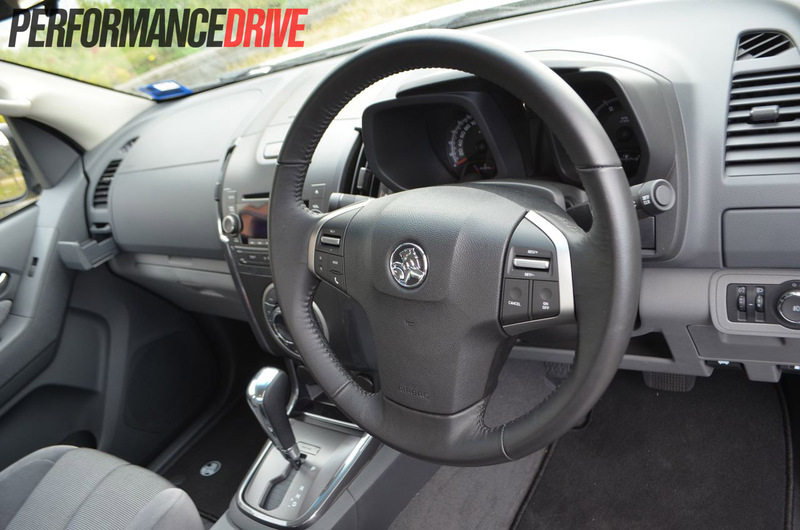 The steering feels vague and responds slowly to driver input such as changing lanes and cornering; three-point turns in suburban streets become a five-point turns. 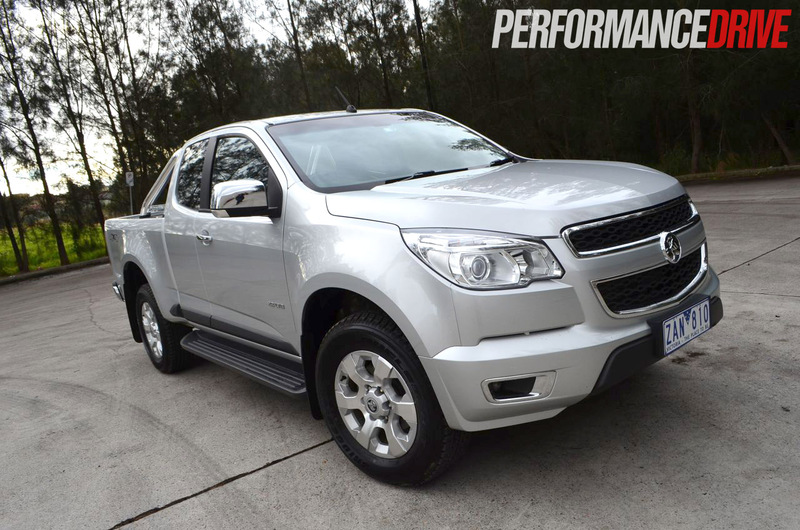 The Colorado’s braking ability is more than adequate. 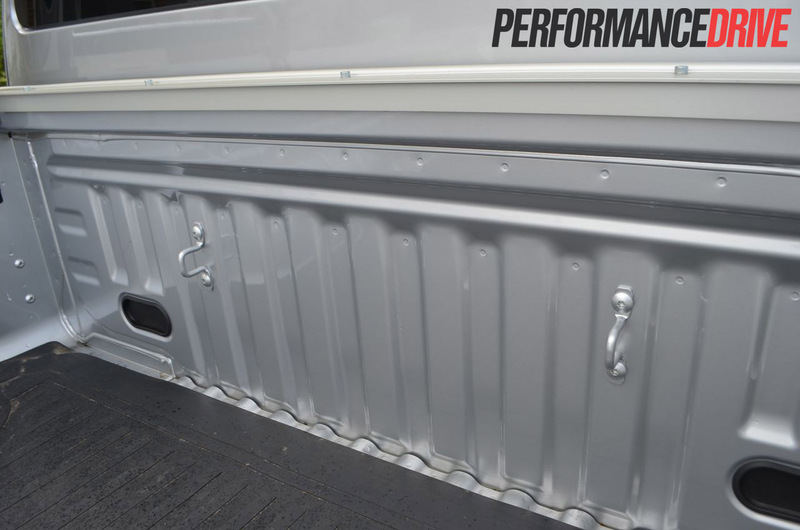 You only need to take into account its 3.5-tonne towing capacity to get a gist of how serious the setup is. 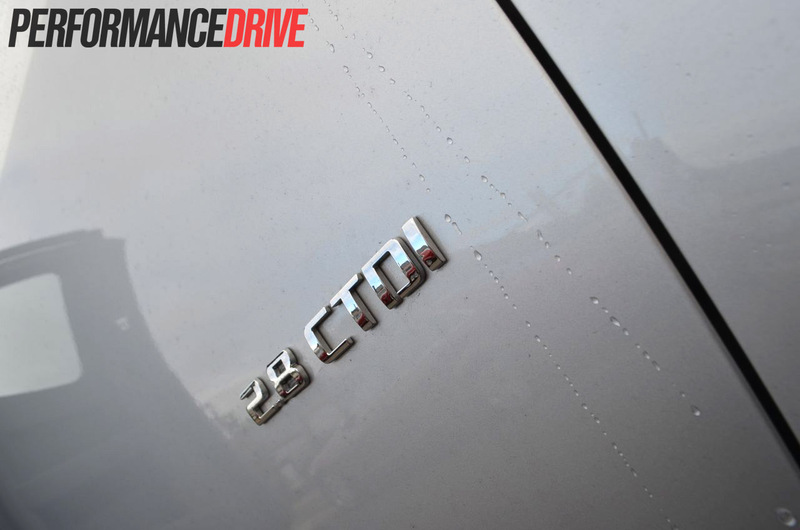 During our test, braking over bumps did throw off the ABS in some instances. 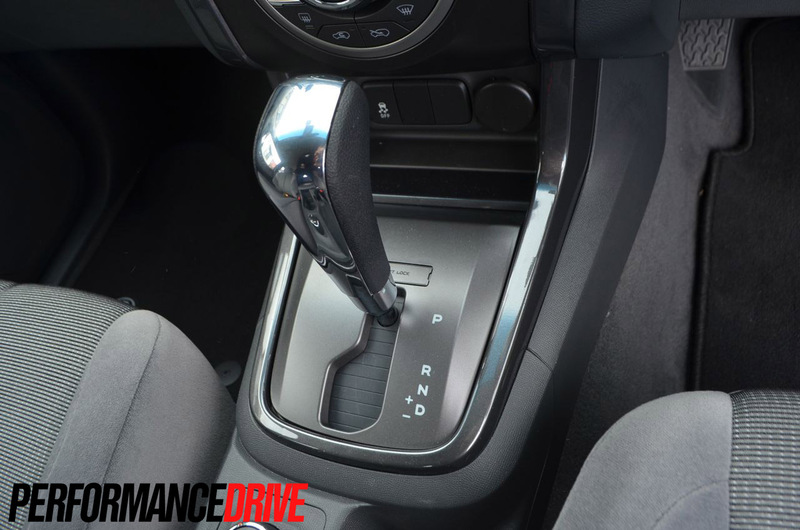 Going for the optional six-speed auto ($2000) over the five-speed manual means you gain an extra 40Nm, leaving you to feel like you’ve got your money’s worth. The self-shifter isn’t the most responsive or intuitive unit, but it does feel tough and up to the task of tackling on and off-road duties, as well as heavy towing. 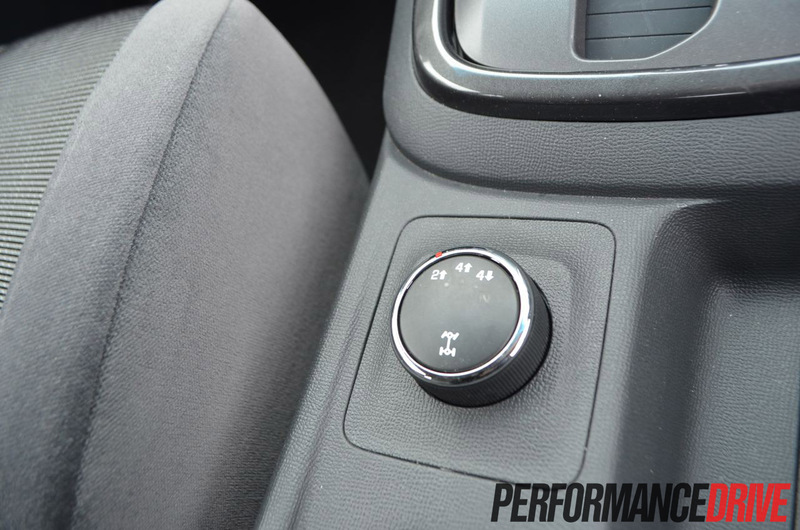 Performance-wise, there’s no stopping it once you hit the go pedal. If you abruptly mash the accelerator from a standstill, the 255-wide rubber will spin and skip to contain all of the 470Nm of grunt, even with the traction control turned on. Turn the traction off and it can get quite amusing. 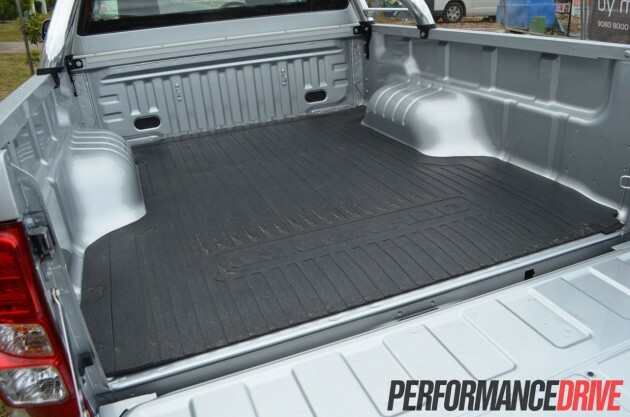 While we’re aware that 4×4 sports utilities aren’t made for cornering, some of the Colorado’s rivals do provide a better driving experience, such as the Toyota HiLux and the Volkswagen Amarok. That said, some of its handling woes do calm down when you have the tray loaded with weight. 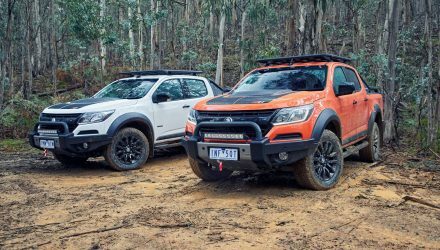 Taken off road the Colorado turns into a confident bit of kit. 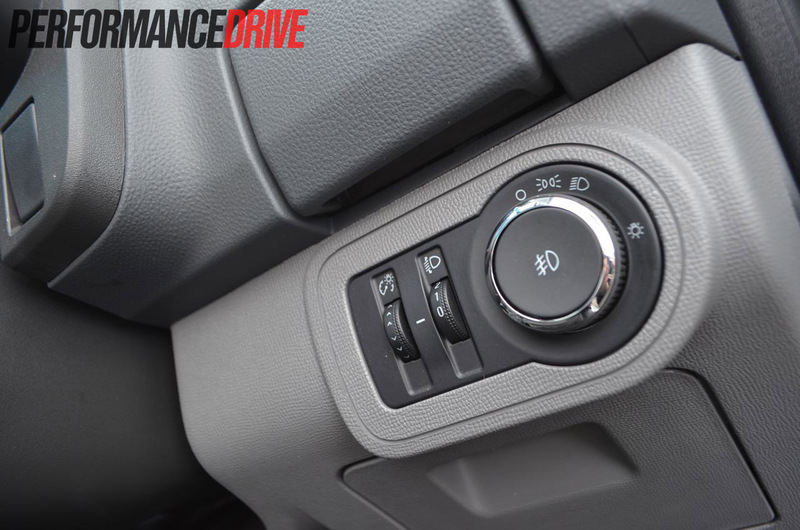 With the flick of the drive mode selection knob located in the centre console, the LTZ 4×4 can switch between rear-wheel drive and 4×4 mode in either high or low range. Upon approaching our rugged section of test track, we didn’t bother jumping into 4×4 mode right away just to see how things went. While we didn’t try and climb Mount Everest, the Colorado hardly skipped a beat up our test hill and adequately used its Bridgestone Dueler H/T tyres to maintain a steady climb. 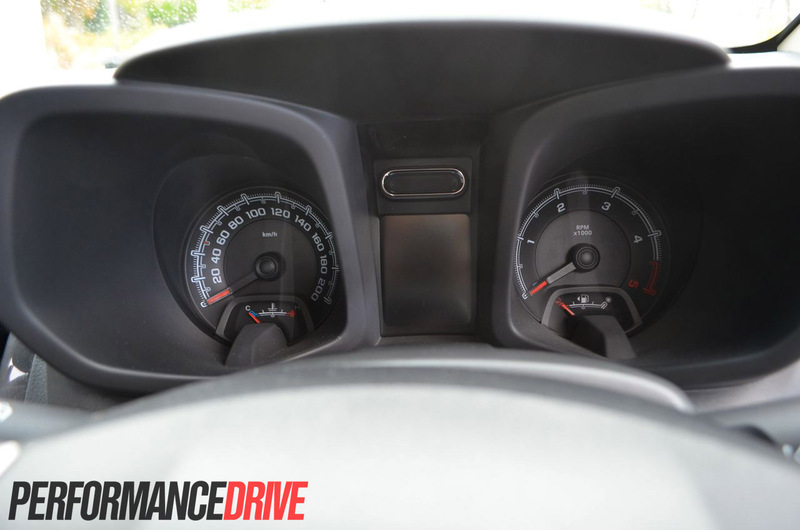 The easy climb was mostly down to the standard limited-slip differential in the rear minimising single wheel slip. 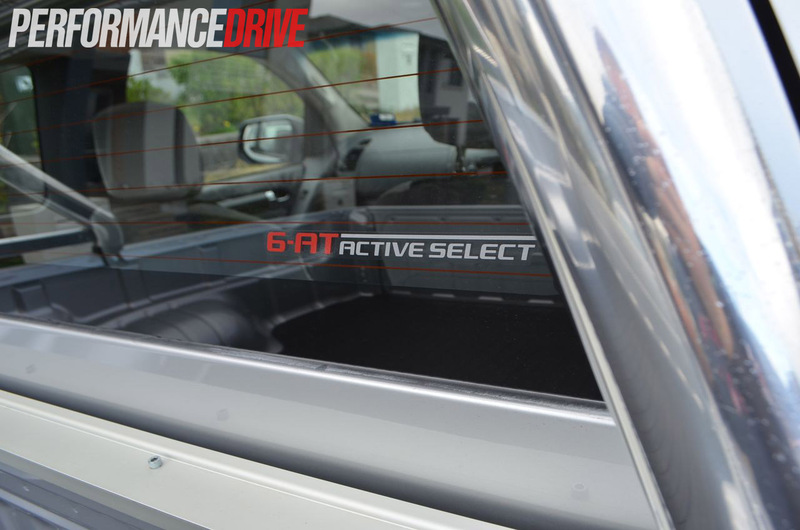 With much curiosity, we then selected low range 4×4 mode to tackle a nearby mud pit. 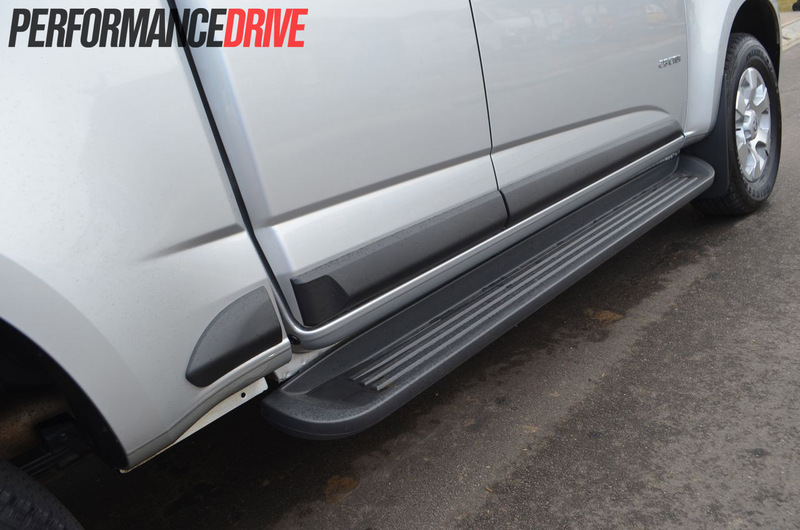 Once immersed in the thick brown sludge there was little in the way of upsetting the Colorado’s go-forward talent, partially thanks to a respectable 210mm ground clearance. The only negative point we can make about the Colorado’s off-road ability is again the numb feeling you get through the steering; its steering isn’t as inviting to control as the Ford Ranger, and it doesn’t share the same composure as the HiLux when things get sketchy. 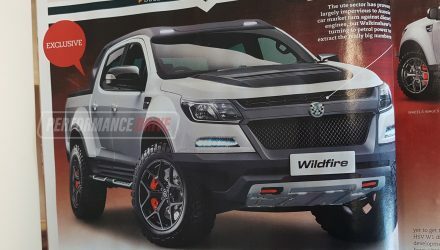 Some chunkier tyres and raised suspension would make the Colorado a better equipped off-road truck as well, but as a standard vehicle, it’s certainly at the better end of scale against its rivals. For us, the Colorado sits in the middle of the crowded pack. 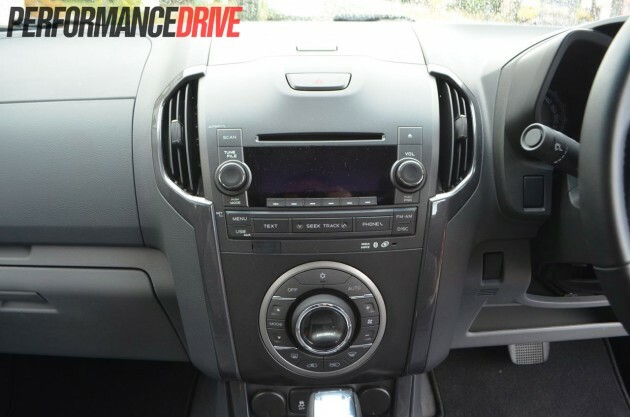 It misses features such as hill ascent/descent control and Bluetooth audio streaming, that should really be standard kit on a vehicle with this price tag, and its average driving dynamics, notably the vague steering and bouncy ride, don’t do it any favours. 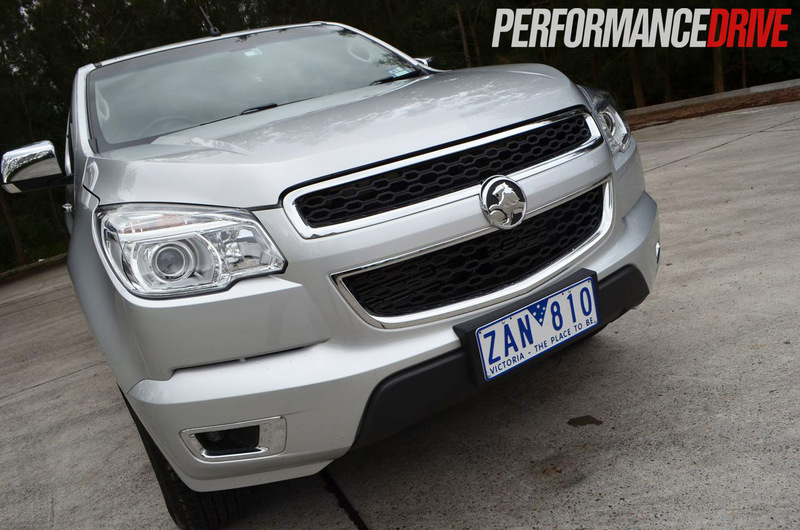 In saying that, for the design alone, the Colorado LTZ makes our 4×4 ute short list. Its ability to haul a class-leading 3500kg load on one day and out-accelerate other vehicles at the lights on another deserves true credit. 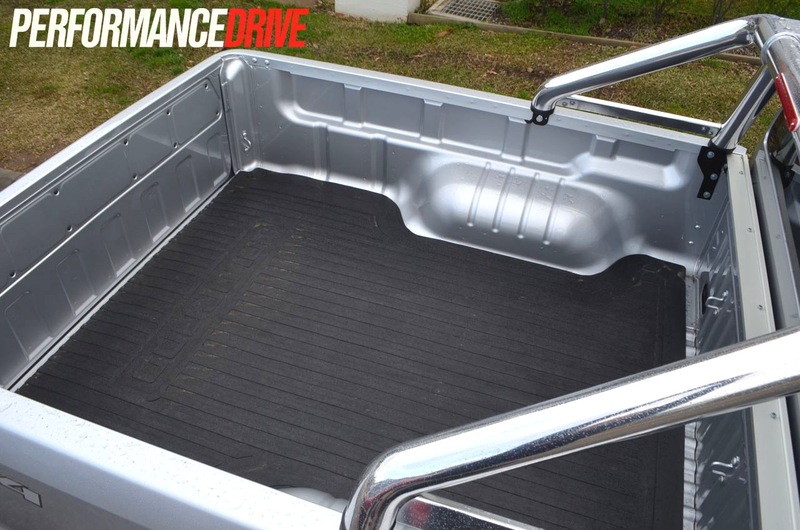 And if you’re in the market for a tough ute, this is an area that is likely to be very important to you.